The series Learning Elementary Physics for Classes 6 to 8 has been revised strictly according to the latest curriculum prepared and recommended by the Council for the Indian School Certificate Examinations, New Delhi to be effective from the academic year 2017-2018 and onward. This new curriculum follows a disciplinary approach. The content of this series has been developed keeping in mind requirement of all the six domains (Concepts, Processes, Applications, Attitudes, Creativity and Worldview) of Science, to make teaching and learning of Physics interesting, understandable and enjoyable for young minds. In this series, all the key concepts have been explained as suggested by transactional processes using the suggested learning resources as given in the curriculum. This series builds a solid foundation for young students to prepare them for higher classes. The main strength of the series lies in the subject matter and the experience that a student will get in solving difficult and complex problems of Physics. Emphasis has been laid upon mastering the fundamental principles of Physics, rather than specific procedures. Thoroughly revised and upgraded as per the latest curriculum. All the Key Concepts in the curriculum have been systematically covered and graded in the text. Each theme has been divided into Units followed by Thought-provoking and exhaustive Exercises to test knowledge, understanding and applications of the concepts learnt in that unit. At the end of each theme a comprehensive Theme Assignment has been given to test conceptual understanding of the whole theme. Diagrams, Illustrations and Text have been integrated to enhance comprehension. Definitions and other Important Scientific Information are highlighted. Throughout the series, Investigations related to the text enable the students to learn through experimentation. Quick revision of each chapter has been given under the caption “Highlights in Review”. The series is well supported by Workbooks for more thought-provoking questions. 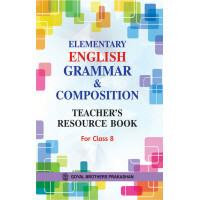 Furthermore, the workbooks help the students in writing precise and accurate answers. The series Focus on History and Civics for Classes 6 to 8 has bee..